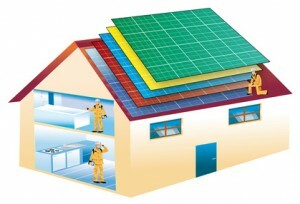 France reforms energy performance contracting to improve building efficiency | Energy 3.0 : the webmagazine about energy efficiency. On March 3, 2011, environmental lawyer Olivier Ortega delivered a report commissioned by Nathalie Kosciusko-Morizet, French Minister of Ecology, Sustainable Development, Transportation and Housing, laying out 16 propositions to drop barriers to energy performance contracting (EPC). EPC is considered a key tool to drastically diminish the carbon footprint left by the building industry, which represents 43% of France’s energy consumption. Nevertheless, public authorities and collectively owned buildings have been slow to adopt Energy Performance Contracting. Created to reduce the biggest barriers to investments in energy retrofits, EPC refers to a signed contract between a building contractor and an energy service company, or ESCO, who is compensated by the energy efficiency gains that the building’s restoration generates. EPC is still in its early stages, notably because of legal, technical, economic and financial obstacles that the Ortega report might help to remove. According to the Ortega report, the directive 2006/32/EC gives a broad definition of energy performance contracting, not yet transposed into French law. The resulting effect is frequent confusion among market players, who use this definition for different means. Similarly, the variety of activities falling under the scope of the contracts makes them difficult to read. Economic-related issues only add to this complication. Faced with the contract’s complexity, the prospect of gains from reduced energy consumption is in fact the main driver behind an EPC. 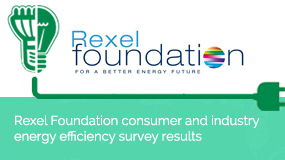 Therefore the volatility of energy prices, as well support for funding EPCs, will be determining factors to increase the adoption rate of EPCs in the years to come. The release of the Ortega report’s propositions should encourage the procurement of EPC contracts by making them more accessible and less costly; they should also drive the French government to take measures to standardize EPC contracts and improve public awareness and information. The report also calls for the drafting of standardized documentation, setting a formal legal definition of EPC and the creation of a “Mission of support for the procurement and monitoring of energy performance contracts” (Macpe in French). Macpe will accompany private and public EPC contracts during the contract-writing process. In response to economic issues, the Ortega report promotes new funding mechanisms. The “updating” of EPC could prove urgent, especially for public authorities, insofar as the European Commission intends to press European Union member states more firmly to invest in the refurbishment of their public buildings. 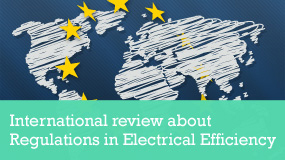 Is the European framework moving towards stricter incentives for energy efficiency? Indeed, according to the energy efficiency directive currently being drafted, the European Commission intends to impose an obligation on member states to renovate at least 3% of their existing building stock each year beginning in January 2014. This requirement is in addition to the measures outlined in the energy performance of buildings directive (EPBD) (2010/31/UE). The new text has been adopted by the European Commission on June 22, 2011 before being sent to the European Council and the European Parliament.